ShoeZone can be found on many town centre high streets. They sell fashionable footwear at discount cosvt for all family members. We were asked to choose a pair of shoes for each of us about a month ago. I knew the cold months were starting to draw near so I chose a pair of boots for us all. What I did not expect was the rather unusual warm weather for this time of year throughout September and the beginning of October. However we are all looking forward to putting our new boots on in the coming colder weeks. I thought it best to start with the youngest upwards. Izebella has a strong liking to her brand new boots. It can be hard to get her to wear anything else even when the sun is shining bright. 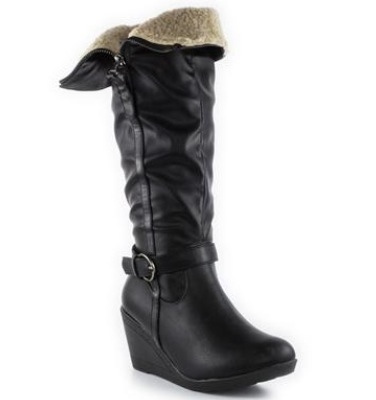 For Izebella I chose the Walkright flashing light calf boots. 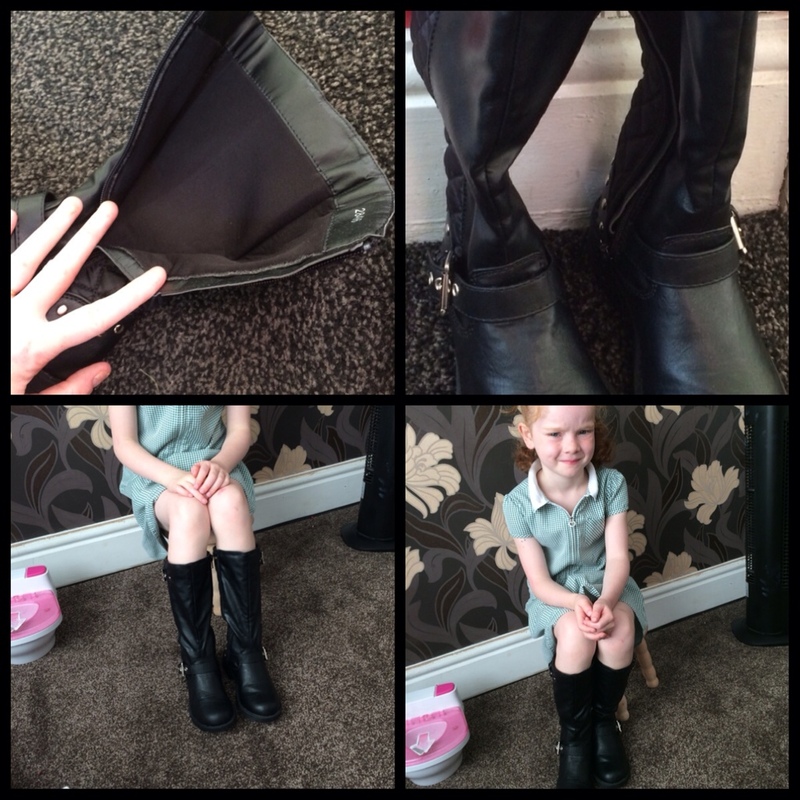 She is currently a 5.5 foot measurement and her new boots are a size 6, giving her that bit of foot room for growth. I find the Shoe Zone sizes very generously sized meaning they may be slightly larger than other stores. These boots are very pretty. With a lovely flower design. The flashing light seems very appealing to toddlers and young children. It makes Izebella want to stamp just to get the light to flash. A fur collar at the top of the boot keeps Izzys legs nice and warm. She loves them and being black means they pretty much go with any outfit. Choosing for Ryan proved a little more difficult than for my girls. The boys choices did seem more limited and the fact that he is a size 5 also makes things harder. It puts him almost in men's sizes which always look way too big for him being only 10 years old. 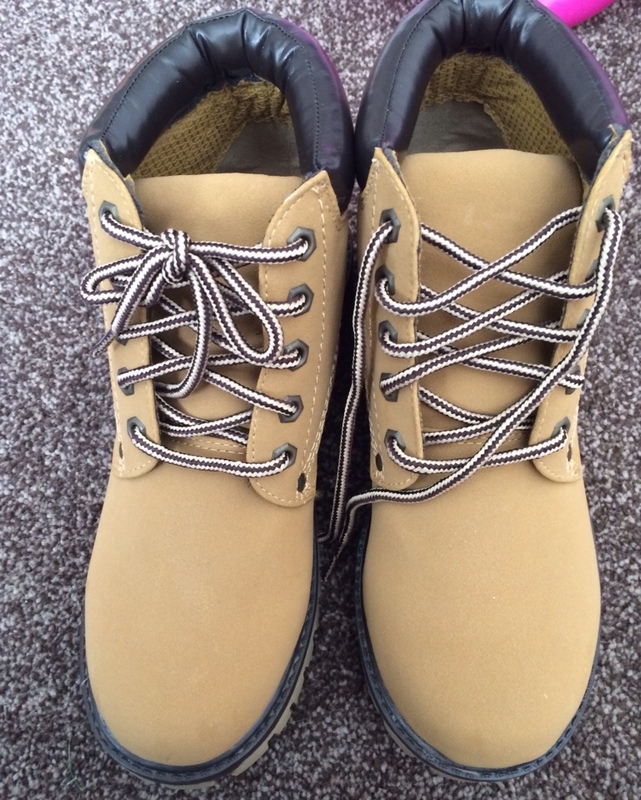 The first choice was out of stock in his size but eventually we settled on a pair of Lace up Cleated ankle boot. They come on both black and honey. The black size 5 was not in stock nor was the honey, so forward thinking I got the size 6 in honey. They are presently a little too big for him to wear. His feet seem to never stop growing tho so I know it won't be too long until they fit him. 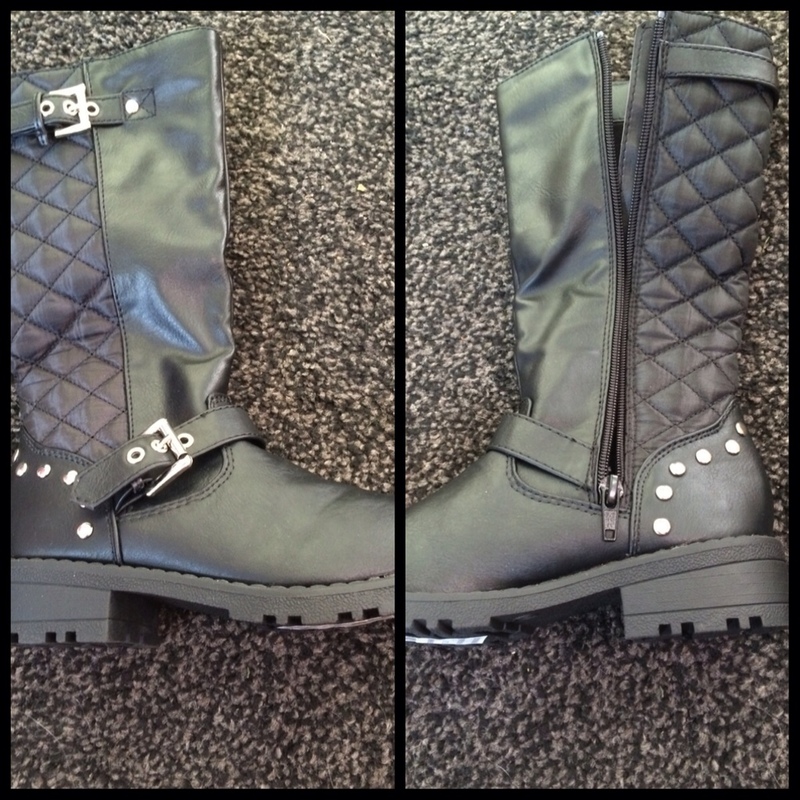 I think they look quite trendy, very similar to the more expensive brands of boots out there. The colour is more like a light brown than a honey. They seem strong and sturdy with good grips to the bottom and the best bit is they only cost £12.99. Yeah I am happy to say that I got a pair of boots for myself too. I dread the cold weather clapping away at my legs first thing in the morning. 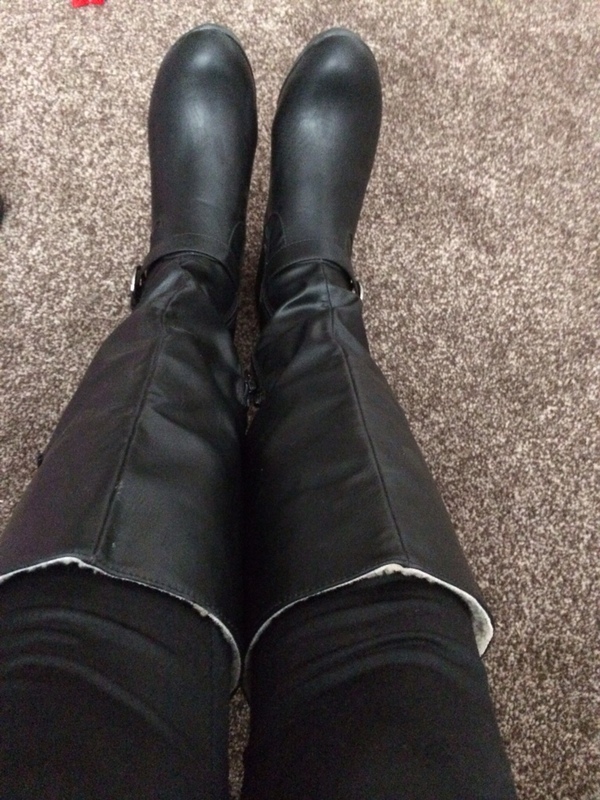 A long warm pair of boots is just what I need but they have to look good too. I think I found the perfect pair at Shoe Zone. The Lily Women's knee high boots with detail. These are lined with fleece and have two zips on either side. They kind of pull on which I did find a little difficult on first go. They are a simple design and go great with leggings and skirts. As I had not worn boots for several months, it did take me a day or so for my feet to get used to wearing boots again, but now I don't even realise I have them on my feet. 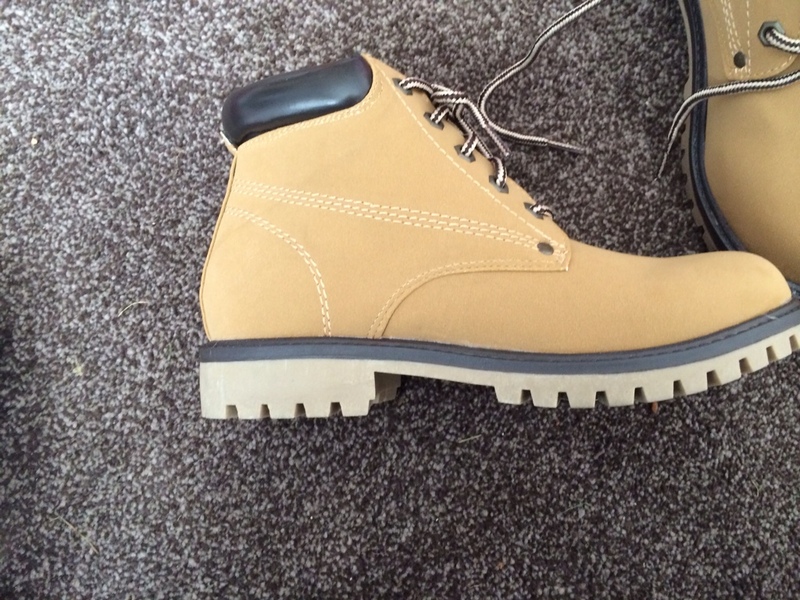 These boots cost just £24.99 and start from size 3. I do enjoy shopping in ShoeZone. The shoes are very inexpensive whilst still retaining good quality. It is great for school shoes and seasonal footwear too. As the prices are so low it does mean its a popular choice for many and so certain sizes will sell very quickly. Visit http://www.shoezone.com for more details.